There are four NBA playoff games taking place on Sunday, and a number of teams stand on the brink of qualifying for the next round of the Playoffs. There were four games on Saturday and we will look at them before we take a look at the Sunday previews. The Nets hauled themselves back into this Playoff with a 91-82 home win against the Hawks, leaving the series standing at 2-1 to the Atlanta Hawks. The Golden State Warriors have plenty to celebrate after defeating the New Orleans Pelicans in New Orleans by a score of 98-109. This was the series clincher for the Warriors who advance after taking a 4-0 lead in the series. Stephen Curry grabbed 39 points in the game which emphasised that the Warriors remain the team to beat this season. The Milwaukee Bucks did just enough to keep themselves alive this season with a 92-90 at home to the Chicago Bulls. This result sees the series standing at 3-1 to the Bulls, so there is still a lot of work for the Bucks to do but at least they grabbed a win. The Grizzlies grabbed a big 109-115 win in Portland and this sees the Memphis side sitting with a 3-0 lead in the series, which should give them plenty of confidence in finishing the job off. With a 3-0 lead going into this game, the Cavs know that one more win will take them through the opening round of the NBA Playoffs and the team from Cleveland will fancy their chances. 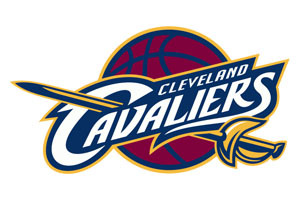 The Cavs have a 53-29 record so far this campaign and this includes a 22-19 record away from home. If they reach 23 away wins before the end of the weekend, the series will conclude and the Boston Celtics’ season will come to a close. The Celtics have a 40-42 record at this moment in the season, and this includes a 21-20 record at home. If this is all level by Sunday night, the Celtics get to start their close season, and while that will be disappointing, Boston can be proud of the way that they have rallied in the second half of this campaign. The Cavs have an 8-2 record in their last 10 games while the Celtics have a 6-4 record in the same time frame. It will shock no one to learn that LeBron James is the leading scorer for the Cavaliers, grabbing an average of 27 points per game. Contrast this to the leading scorer from the Celtics, Isaiah Thomas, has an average of 16.3 points per game. With respect to average points for, the Cavs lead 103.2 to 101.2 and for average points against, the Cavaliers lead 98.5 to 101.3. Taking the Cleveland Cavaliers with a -7.5 handicap, at odds of 1.90, is likely to be a decent bet. You can bet that the Celtics will be pushing hard to get a winner in this game but the Cavs know that getting some time off before the next round will be of great benefit. Bet Now! The Spurs are 2-1 ahead in this series and they will be keen to take a lead into the next round of this series. A number of the matchups could be decided this weekend but this series is set to roll on a bit longer, and if the Clippers can avenge their home defeat with an away win, there could be a good bit of legs left in this one. The Clippers have a 56-26 record so far this season and this contains a 26-15 record away from home. The Spurs, the reigning champions in the NBA, have a 55-27 record so far this season and this includes a 33-8 record at home. This is a formidable record at home, and it will mean that the Spurs go into this game with a great deal of confidence and verve. Both of the teams have a very strong 8-2 record in their last 10 games. Blake Griffin is the leading scorer for the Clippers going into this one, with an average of 23.0 points per game and Kawhi Leonard has been the top man for the Spurs this season, offering up an average of 24.3 points per game this season. Tim Duncan has been in excellent form this season for the Spurs, adding an average of 9.7 rebounds this season. With respect to average points scored, the Clippers lead 106.3 to 103.1 and for average points against, the Spurs lead 96.9 to 100.2. You can find the Clippers at -6, with odds of 1.90 in this one and with their home form this season, backing the NBA champions makes sense. Bet Now! The Wizards have a 3-0 lead going into this game and they know that a home win will see them through to the next round of the NBA Playoffs. The Toronto side has a 49-33 record so far this season, with a 22-19 record away from home. 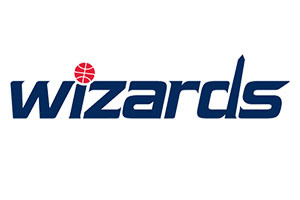 The Wizards have a 46-36 record this season and they have a 29-12 record at home. If the team from Washington grabs their 30th home win of the campaign on Sunday, they will be through to the next round of the Playoffs. The Raptors have a poor 4-6 record in their last 10 games while the Wizards have a much stronger 7-3 record in the same time-frame. DeMar DeRozan has bagged the most points for the Raptors this season, averaging 22.3 points per game while Bradley Beal is the top man for the Washington side, bagging an average of 20.0 points per game. The Toronto Raptors have the edge when it comes to average points for, leading 103.7 to 98.8 while the Washington Wizards lead on average points against, 97.8 to 101.1. The Washington Wizards can be found with a handicap of -6 at odds of 1.90, which should be worth a punt going into this one on Sunday night. Bet Now! The Rockets have a 56-26 record so far this season, and this includes an away record of 26-15. If this can be nudged up to 27 away wins by the end of the weekend, the series will be over and the Rockets can look forward to the next round. The Mavericks have a 50-32 record going into this game with a home record that currently stands at 27-14. The Dallas side needs to be celebrating their 28th home win of the campaign or their season is over. The Rockets come into this game with an 8-2 record in their last 10 games while the Mavericks have a 4-6 record. With respect to average points scored, the Mavericks lead 105.4 to 104.5 and for average points against, the Rockets have an advantage of 100.9 to 102.9. James Harden has been a key player for the Rockets this campaign, delivering an average of 30 points per game this season. For the Mavericks, Monta Ellis has been instrumental, serving up an average of 24.7 points per game. The bookies think that the Rockets will seal the series in this game and backing them with a -3.5 handicap, and odds of 1.90, should be a decent bet for Sunday. Bet Now!